Summer and grilling are often synonymous. 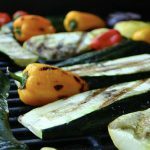 Typically, the foods we choose to grill are less than nutritious but it doesn’t have to be that way. 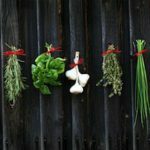 The grill can be a great way to infuse a ton of flavor into those nutritious foods you’re trying to eat more often. 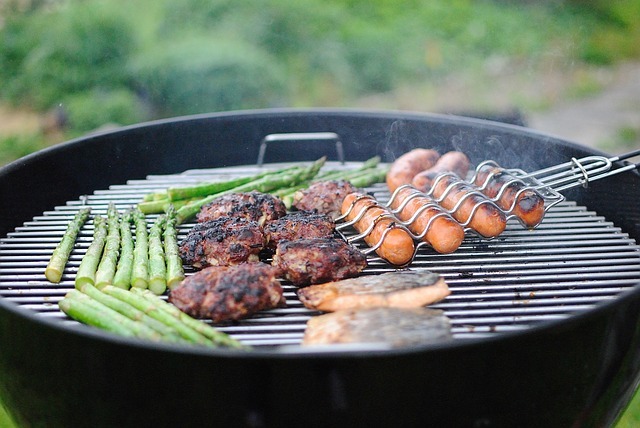 Here are some things to keep in mind when grilling healthy. This can help reduce sugar and calories. Not to mention, it can also help reduce the amount of carcinogens produced when pairing a sugary marinade with a protein (for instance, a sweet teriyaki marinade with a chicken breast). If you do want to use a sweet sauce, add it after and be mindful of your portion size. 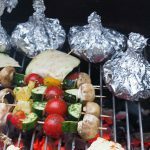 Foil packs can help you grill those nutritious items that may get neglected because they stick or fall apart on a grill. 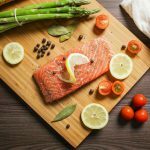 By wrapping things like fish and small or soft vegetables in aluminum foil, you still get the delicious grill flavor without losing half of the food to the grill grates. Our taste buds perceive sour and salty in a similar way. By squeezing a bit of fresh lemon, lime, or grapefruit juice onto your foods, you can cut back on the amount of salt you add. Lemon works for most everything but lime and grapefruit can add a unique flavor twist as well. Have fun an experiment! Trying to eat more veggies? Some vegetables work really well to substitute for a burger. Things like portabella mushrooms, thick sliced eggplant, squash, cauliflower, and bell peppers work great to add a “meatiness” without using any meat at all. You could also just use a smaller burger and top it with one of these veggies to increase the volume and nutrition of your sandwich. Most summer desserts are full of sugar and cream. Why not use the grill for a healthy dessert? 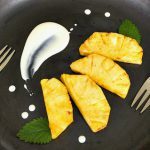 If you’ve never tried grilled fruit, you’re missing out. In Florida, watermelon and mango are in season this month and work really well on the grill. Pineapple and peaches are always good options too. Top with a little yogurt or whipped cream for a true treat.